Here are some some sets from Our Craft Lounge ~ Reindeer Kisses (Santa), Reindeer Games (Reindeer) and Reindeer Pun (Jokes). Super fun stuff! 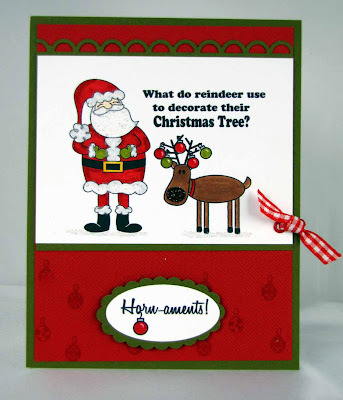 Kendra, this is such a FUN card!!! What a cute stamp set!!! New Year's Eve ... Let's Party!